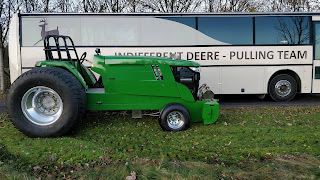 After almost 1 year of building, the new John Deere Component Super Stock Tractor of the Indifferent Deere Pulling Team from Herning in Denmark is ready. The new Component Tractor received a Domex wedge frame with a chrome-moly Rollcage of the old Double D from Willem Veldhuizen, a homemade hydraulic power steering, a Rockwell rear axle housing, John Deere 6000/8000 series aluminium fenders and a new John Deere 7310R sheet metal hood. 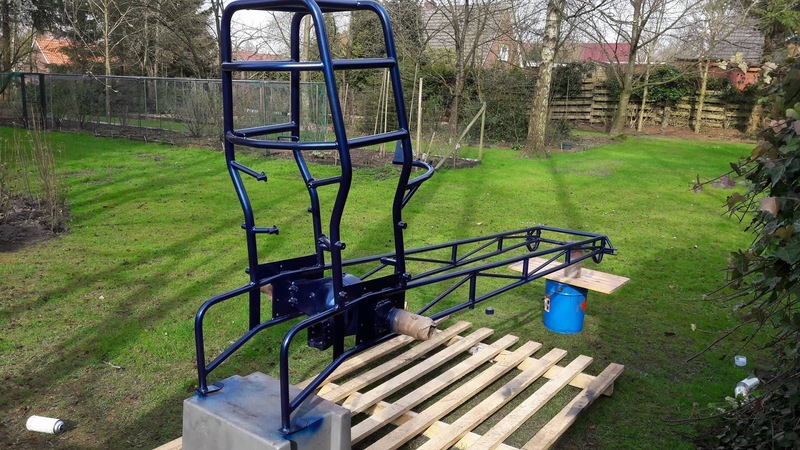 The groundwork on the Chassis and the rearend was made by Willem Veldhuizen and his Crew of Veldhuizen Special Product from Loosdrecht, in the Netherlands. The rest of the welding work on the chassis were made by the Danish Team himself in their workshop in Herning. 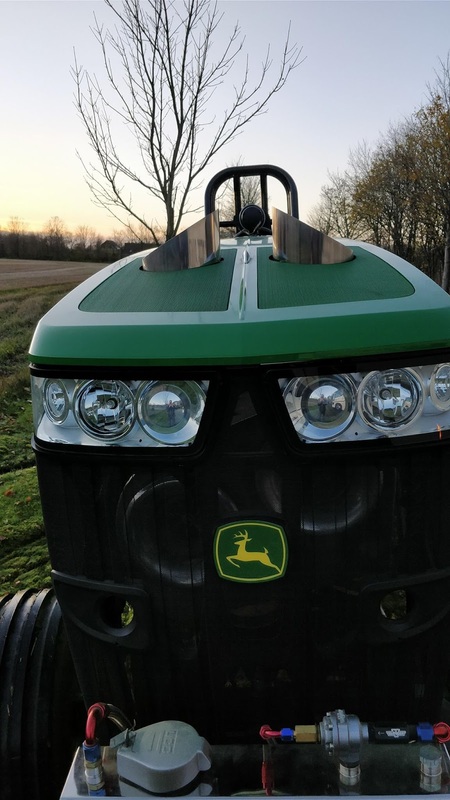 The new hood basic on the current John Deere 7R series. 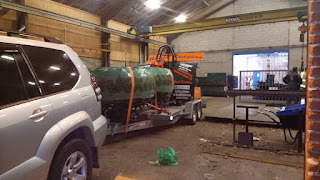 The Danish Team bought for the new vehicle a set of used Midwest aluminium rims with cut Firestone Puller 2000 HP tires. 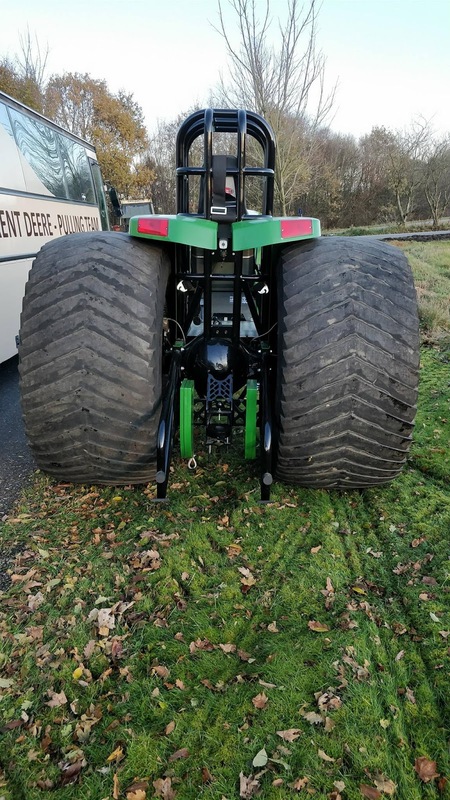 The rearend of the new John Deere has a Rockwell SQHD center section with a Rockwell diff, a Rockwell SQHD ring and pinion gear, a single wheel brake system and aluminium planetary carrier housing with special made Mercedes planetaries. The Super Stock also got a SCS reverser with a homemade driveline, a Crower centrifugal clutch with 5 discs and a Browell aluminium clutch bell housing. The new Indifferent Deere V2.0 is powered by a 6 cylinder John Deere engine with 10l capacity on alcohol fuel. 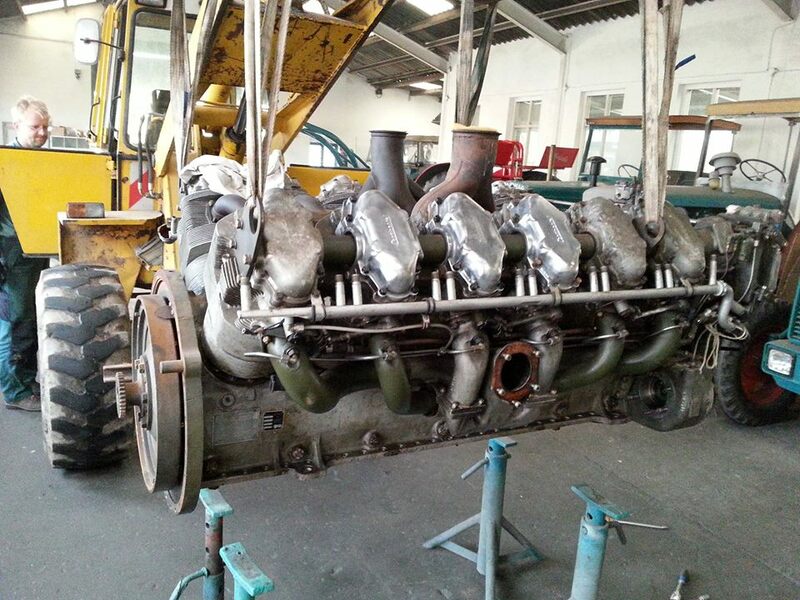 The JD power plant was took over from the old Indifferent Deere Pulling Tractor and received a new crankshaft. The engine has a 4255 JD block with a aluminium head, 3 Holset turbochargers, a homemade intake and exhaust manifold, a self built fuel tank, a MSD 8 ignition and a homemade data logger with a engine control system. The JD engine should make around 3000 HP. 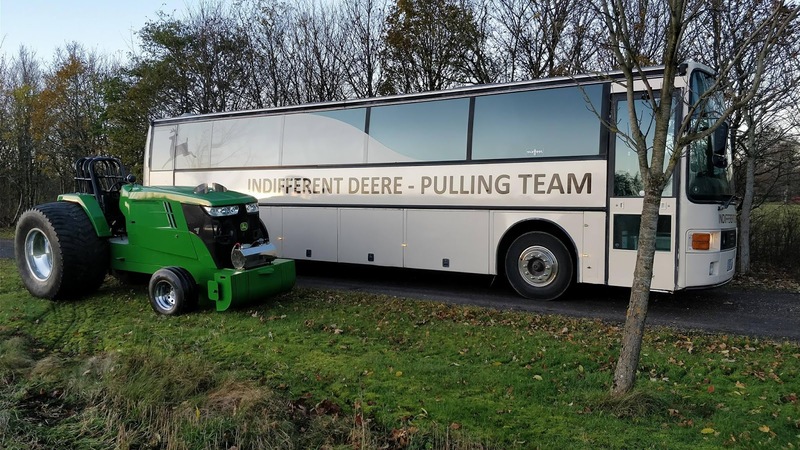 The Indifferent Deere Pulling Team will compete in the Danish Championship and on some Show Pulls in Europe next season. 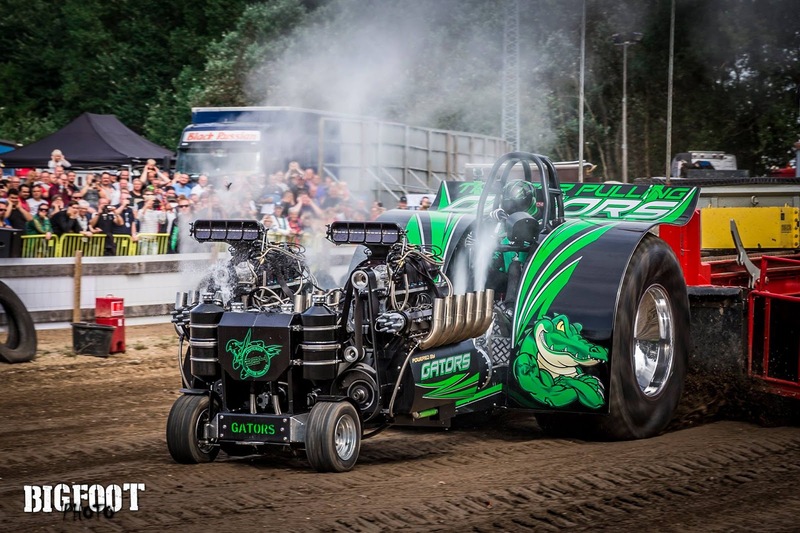 The maiden voyage of the new Indifferent Deere V2.0 Component Super Stock is planned for the 27th of January 2017 at the Indoor Pull in Zwolle, the Netherlands. 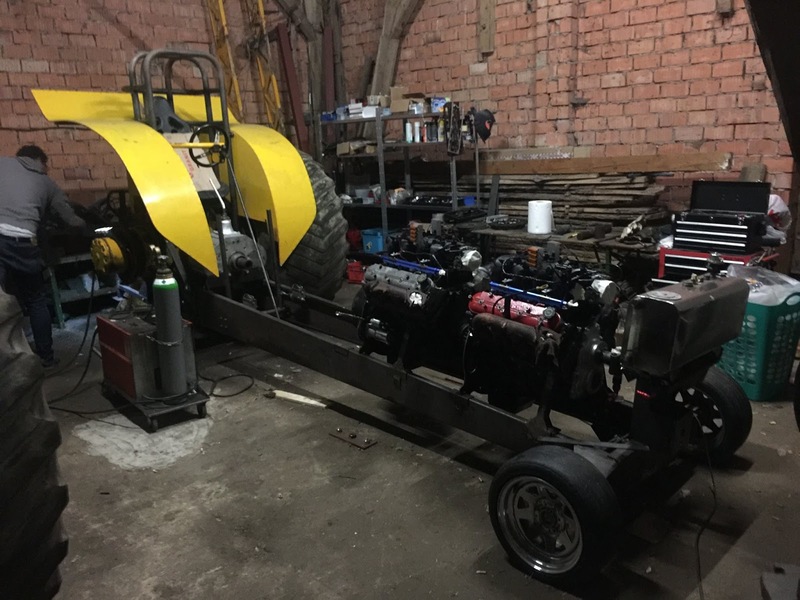 After 8 years in the 500kg Modified class and a German Championship title in 2015, Thorsten Schlarbaum from Aurich in Germany has built a completely new Garden Puller Tractor for the new 600kg Modified class during the winter of 2016/2017. 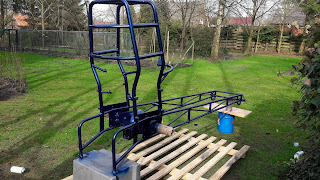 The Tractor got a completely new St52 tube frame with a St52 Rollcage, a homemade hydraulic steering and a Ford Transit rearend. The new homemade fenders were built from aluminum. 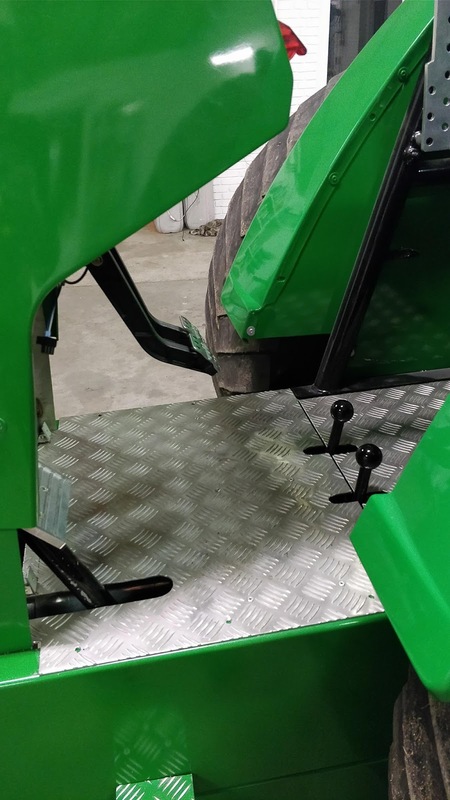 The new Rollcage for the Mod was bent and welded by Jan-Patrick Mikkosek (driver of the 600kg Compact Diesel called ,,Screamin´ International´´) from Neumünster in Germany. Thorsten bought for his new Tractor a set of new Real Wheel rims with cut Cepek tires. 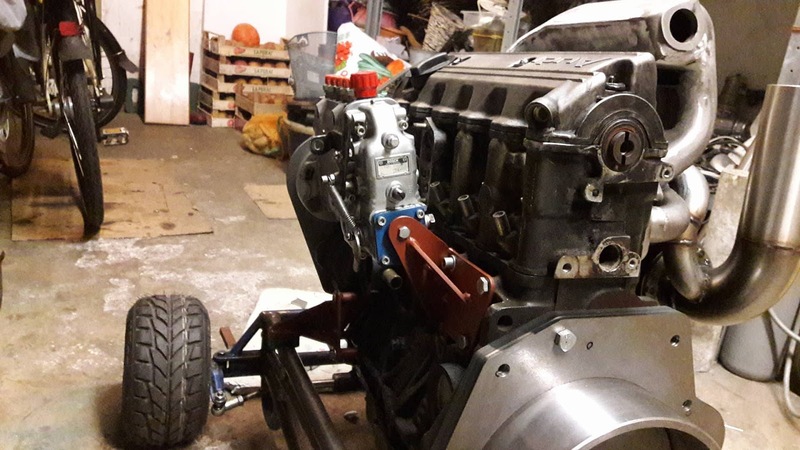 The rearend is a Ford Transit / Suzuki combination with homemade parts. 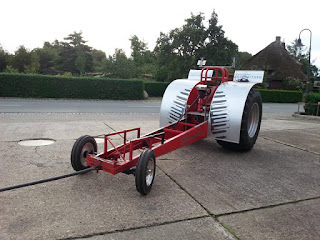 The rear axle also received special built spindles by Roland van Dongen from the Netherlands and homemade aluminium planetary carrier housing with MF 135 (Massey Ferguson) planetaries. 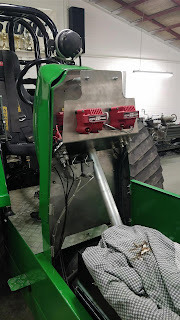 The reverser is homemade with Lenco parts and the driveline to the rear axle is made from articulated shaft profile of a hay tedder. The centrifugal clutch of the Mod is a 3 disc 7.5´´ inch Tilton clutch with a homemade fly wheel and a homemade steel clutch bell housing. The new Blue Attraction is powered by an 5 cylinder Audi TDI engine with 2.5l capacity on diesel fuel. The engine comes out of an Audi A6 car. 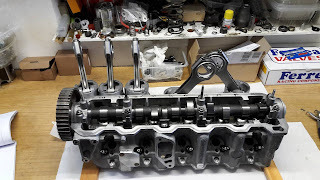 The engine has a Audi stock block with a stock crank, BFS rods and revised Audi pistons, ARP stand bolt, a homemade intake and exhaust manifold, a Holset HX 52 turbocharger, a homemade wastegate with Arlows parts, a Audi cylinder head with bigger valves and a BFS billet Stage 1 camshaft, a Bosch A fuel pump with 5 elements and a RSV regulator, a self built belt drive, homemade injection nozzles, a homemade 2 stage water pump and a homemade fuel and water tank. The Audi cylinder head also was revised by BFS airflow-research in Dronten, the Netherlands. 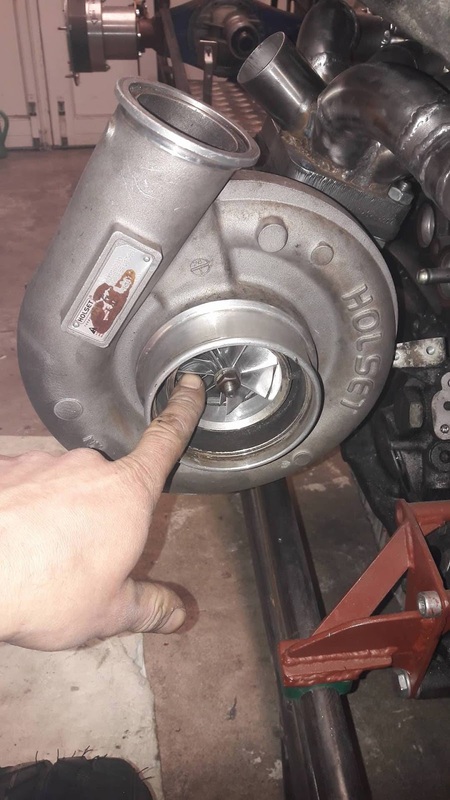 The engine makes around 7500 rpm with this setup. 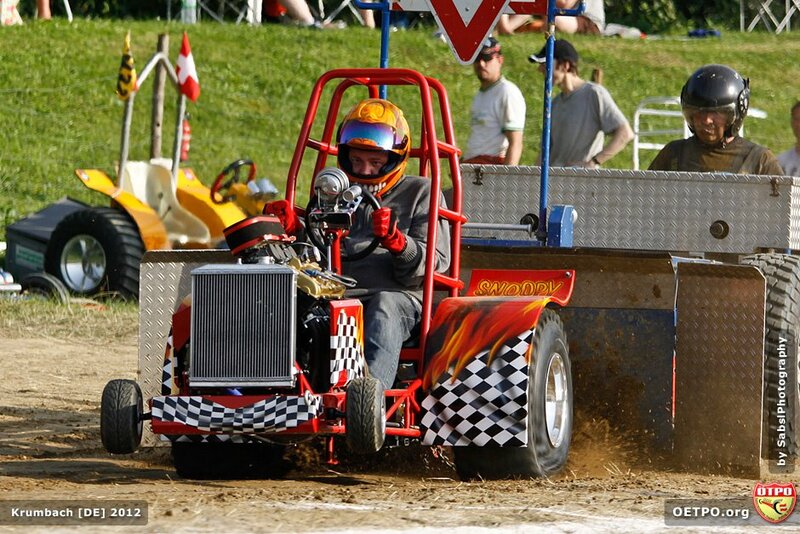 Thorsten was happy with his first season in the 600kg Modified class. 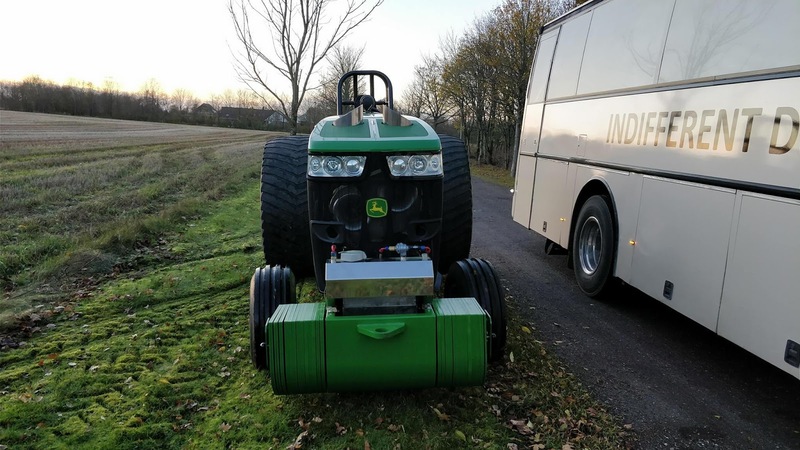 He made a lots of nice passes with the Tractor, but also had some technical issues with the clutch during the season, what cost him the German Championship title in the end. The biggest success for him was the 2nd place finish at the European Championship in France this year. He´s currently working on a new lighter and improved 25CrMo4 tube frame for the 2018 season. Sascha Mecking, 42 years old from Westerstede in Germany. 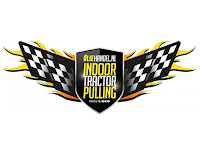 Sascha was the former boss and one of the founding members of the international Tractor Pulling website called ,,pullingworld.com". 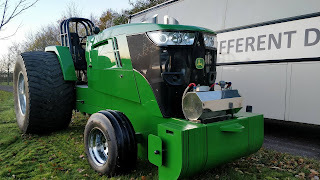 In his early years, he was a lot on the road with the Green Monster Pulling Team from Füchtorf in Germany and helped them a lot in technical issues and developments on the Allison powered Tractors called ,,Green Monster" and ,,Green Fighter". 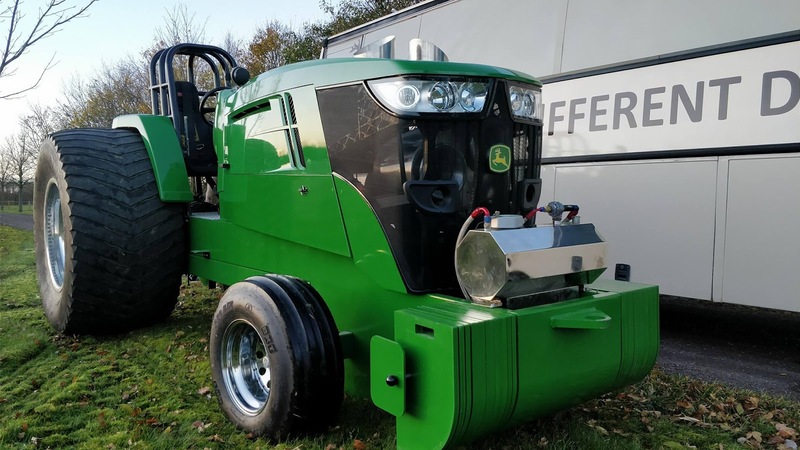 Currently he's the vice president of the German Tractor Pulling Association (DTTO) and working on his own Limited Mod Tractor. Sascha Mecking: I do everything technical / export shipping / IT first level support and work safety at Dostofarm GmbH. Check www.dostofarm.com! Sascha Mecking: There is not much free time left to be honest. I like my classic rock music and to help at our local motorsports club. Sascha Mecking: Meeting all those people and to learn something new about engines all the time! Sascha Mecking: Good Question.. sometime in the late 1970s. I was too young too remember. Sascha Mecking: Made (NL), Füchtorf (D) and a lot of smaller events with good tracks and a quick running show! Sascha Mecking: The first puller I built that I could actually sit on was my „Tiny Temptation“ Garden Puller in 1998. So it must have been at Füchtorf (D) that year. Sascha Mecking: German Champion in Garden Pulling 1998 probably sounds best on paper. 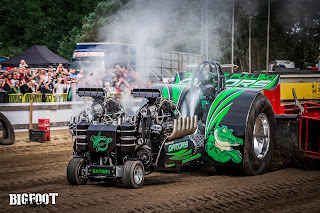 The ones I was most happy with, was winning German Champion with a Lego Puller in 1987 and the first titles with the Green Monster Team after a long time without winning anything major for a few years in the late 90s and early 2000.
pullingworld.com: Which Pulling classes do you like, too? Sascha Mecking: I like anything with close competition, variety and creativity! 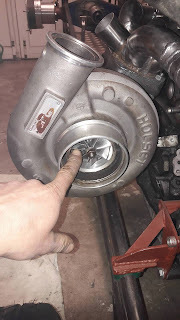 Sascha Mecking: That EC in Füchtorf (D) where we broke the third Rockwell ring and pinion on the Green Fighter pretty much in a row. That was frustrating because we had everything right and then a part, that by then we didn’t know how to improve on, just kept busting. 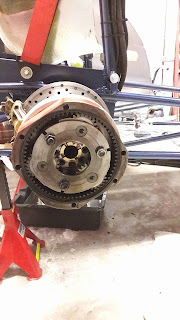 That kind of torque into the rear end we already had back then (15 years ago) is still not matched by many these days. 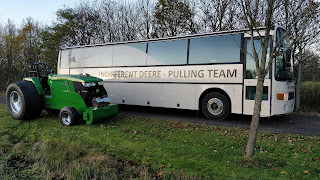 Sascha Mecking: I think here in Europe we need to understand, that we on one side need a „top level with anything goes“ show but, and I think that’s as important, a competition for „members“ who can’t afford to spend the value of a house on a pulling tractor. Competing members make the best fans and bring the sport to a wide audience. They are the entry step for new teams, new events and new fans. 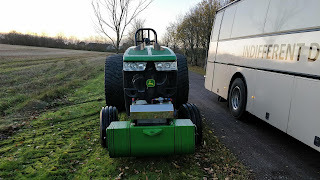 Sascha Mecking: Get my own tractor to run and see how far I can get with that. 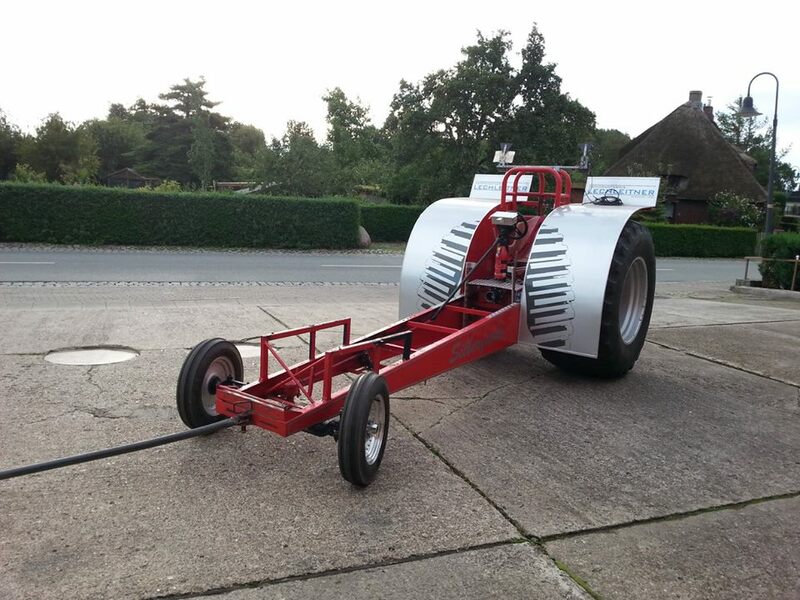 I would like to show people it’s not THAT difficult to build a pulling tractor and that they can do it, too. If one day I can load that thing behind an RV and travel around with it and motivate young people to get into the sport, I am happy. Sascha Mecking: The day they introduced limits to the Modified classes with the intention to make it „fair“ and „affordable“, when, the way they were done, all they did was to force people to always have the latest and greatest technology, totally killed creativity and turned it all expensive. As you can tell, I don’t mean this in a positive way. It’s often cheaper to have one more engine on the chassis and them all in a „mild“ tune instead of one less and all set on kill. Sascha Mecking: For sure not my current project. I prefer to tinker with adjustments and setups much more than building them! Sascha Mecking: Yes - make sure we keep the variety in the mod classes. 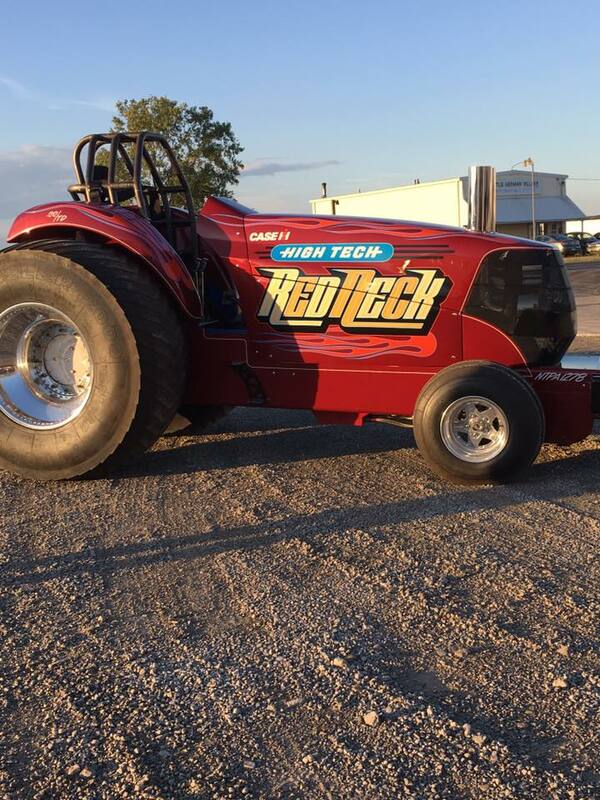 If the crowd can only tell the tractors apart in their paint job, they won’t pay to watch that show. Watch the crowd heading for the food stands in the US when the mods hit the track while here they pack the stands when a class with lots of different engine combinations goes down the track. 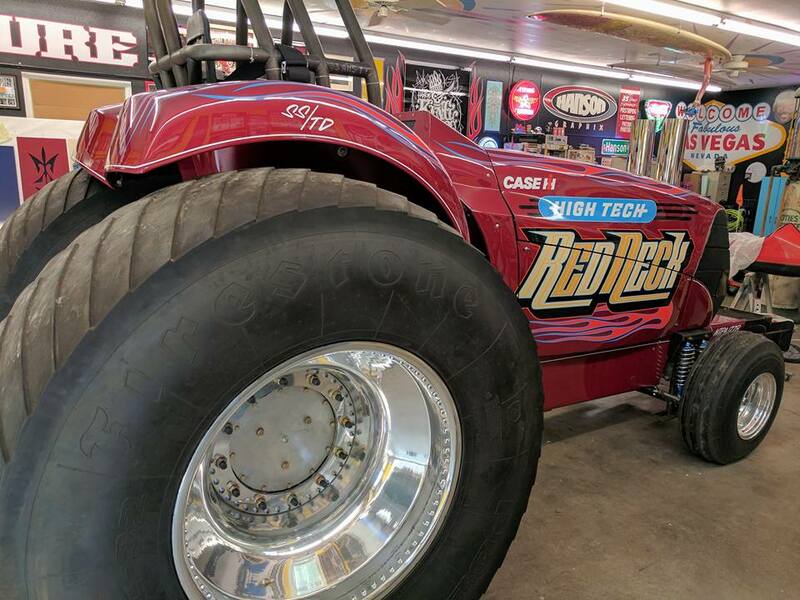 From Ridgefield Corners, Ohio in the USA, the High Tech Red Neck Pulling Team around Mike Beck have built a completely new Case IH Component Diesel Super Stock Tractor during the last 2 years. 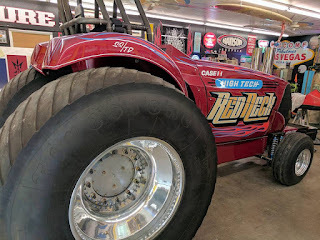 The new Diesel Super Stock received a chrome-moly tube frame with a chrome-moly rollcage, a power steering, a Engler Machine & Tool built single wheel brake systems, a Case IH MX 210 hood and a Rockwell rearend. 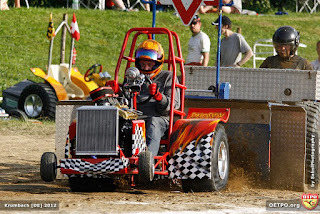 The Chassis and the cage were built by Engler Machine & Tool in Princeton, Indiana. The new hood and fenders were built by Binderlite Fabrication. 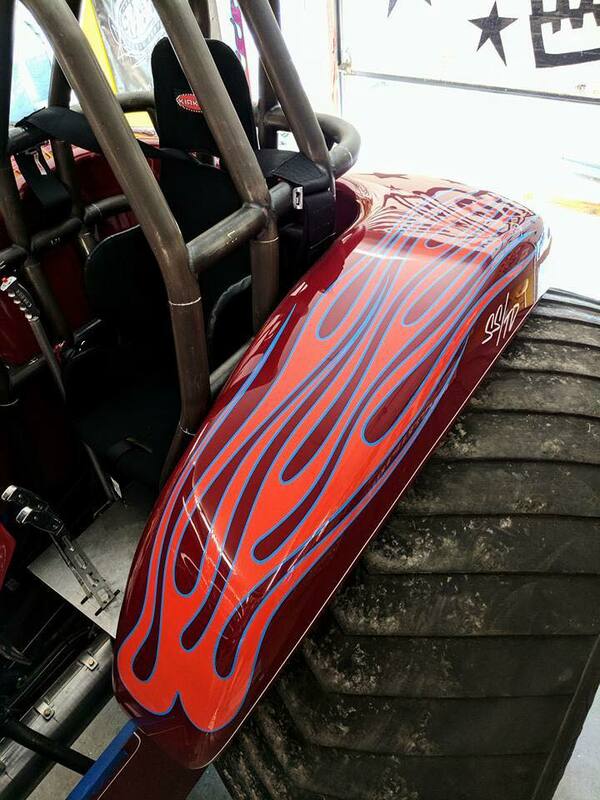 The design and the paint work were done by Todd Hanson of Hanson Graphix from Wauseon, Ohio. 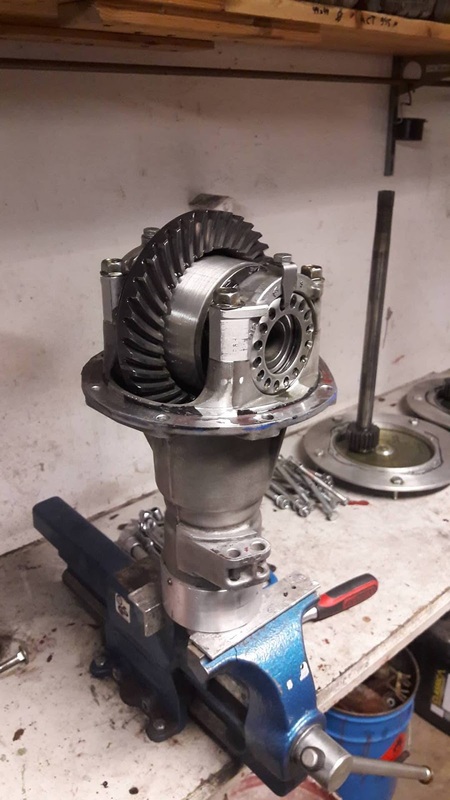 The Rockwell rearend has a Rockwell center section with a billet diff, a Rockwell ring and pinion gear and Rockwell planetary carrier housing with Rockwell planetaries. The new Tractor also got a 3 speed Profab transmisson with a billet driveline, a Crower 11"inch centrifugal clutch with 5 disc and a Browell bell housing. 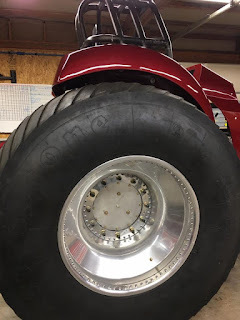 The rear wheels on the Component Super Stock are Midwest aluminium rims with new cut Firestone Puller 2000HP tires. 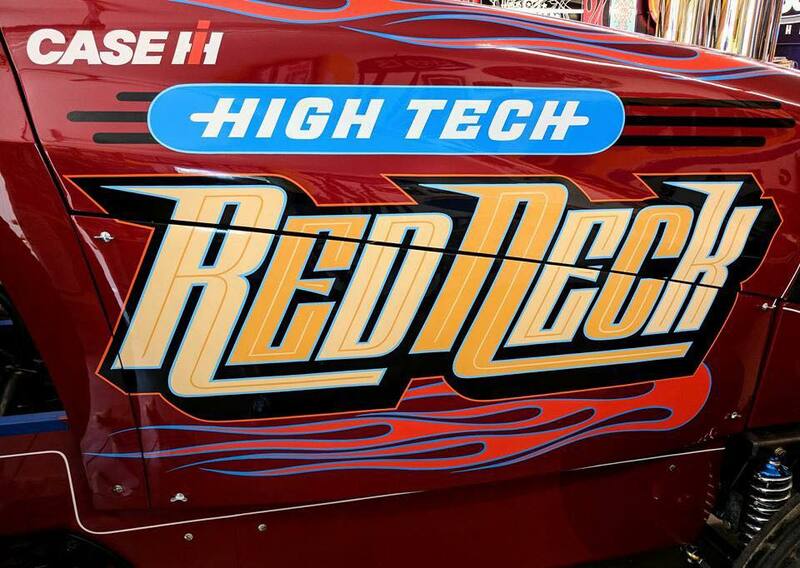 The new High Tech Red Neck is powered by a 6 cylinder IH DT 466 engine with 540cui on diesel fuel. 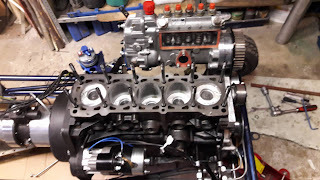 The new built diesel power plant has DT 466 stock engine block with PowerBore sleeves, a billet Bryant crankshaft with billet Hypermax rods and pistons, a billet cylinder head built by Lemke Motorsports (New Generation Plus) from Hellenville, Wisconsin, a Hypermax camshaft, a costum made intake and exhaust manifold, 4 billet Wimer turbochargers, a Peterson oil pump, a Waterman fuel pump and a Scheiddiesel data logger. 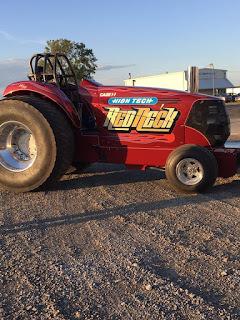 The High Tech Red Neck Pulling Team will compete with their new ride in the NTPA Grand National Championship and on some State Level Pulls next year. After almost 1 1/2 years of building, the new 3.5t / 7700lbs. Limited Mod called ,,Silberfuchs" from Brodersby in North Germany is ready. The Silberfuchs Team is a completely new Pulling Team in Germany. In the end of 2015, they bought the old Silberfuchs Chassis of Ullrich Kropp from Nottuln in Germany. Previously the tractor ran with 2 blown Chevy engines in the 2.5t / 5500lbs Light Modified division in Germany. 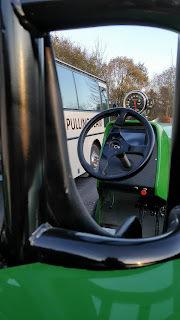 The Tractor is now running with a naturally aspirated V12 Continental tank engine. In the package were also included the old Firestone Puller tires with the old steel rims and the gearbox. 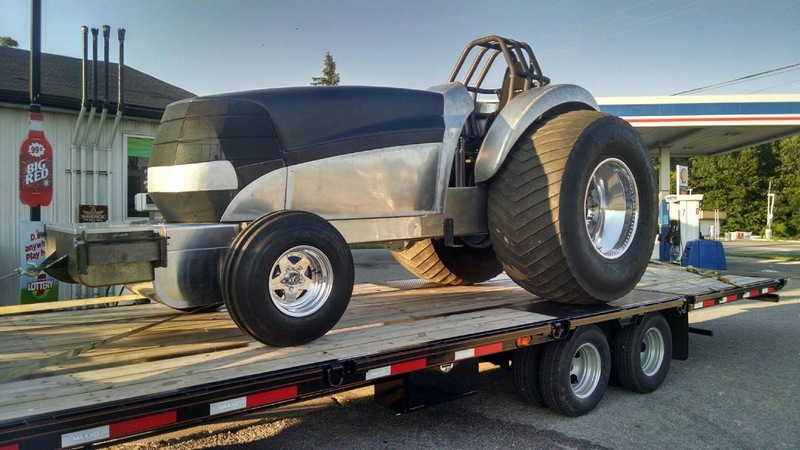 The chassis is a steel wedge frame with a steel tube roll cage, a homemade steering, aluminium fenders and a truck rearend. The frame was built in the 80s. 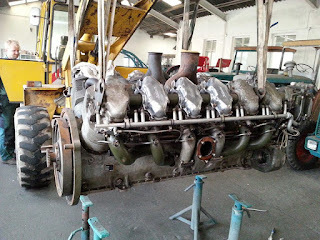 It's the frame of the old Rolls Royce Griffon powered Modified Tractor called ,,Delta Power" from the Netherlands. 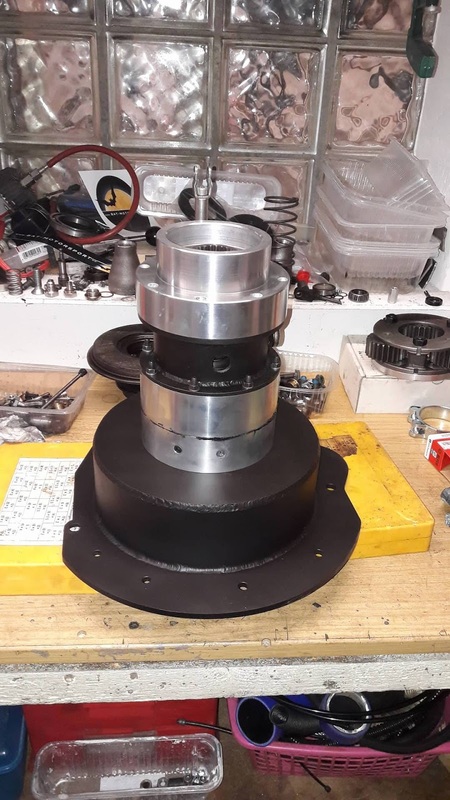 The rearend is a ZF truck rear axle with a stock ZF differential, a original steel center section, a ZF ring and pinion gear, ZF planetary carrier housing with stock planetaries. 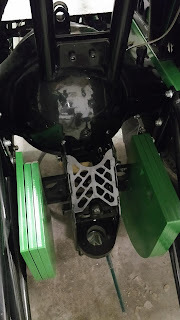 The gearbox of the tractor is out of the old triple Allison Mod Tractor called ,,Green Fighter" from Germany. 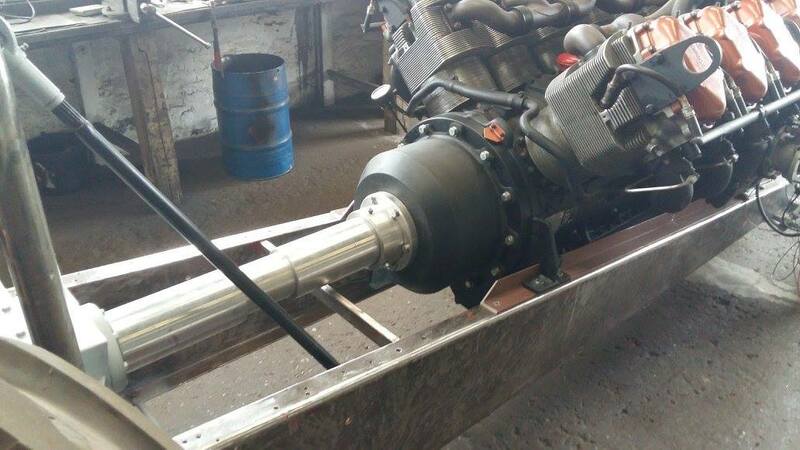 The driveline is homemade and the 11'' inch Crower centrifugal clutch has 5 disc with a steel clutch bell housing. They purchased the clutch and the bell housing from the german Dandy Pulling Team. 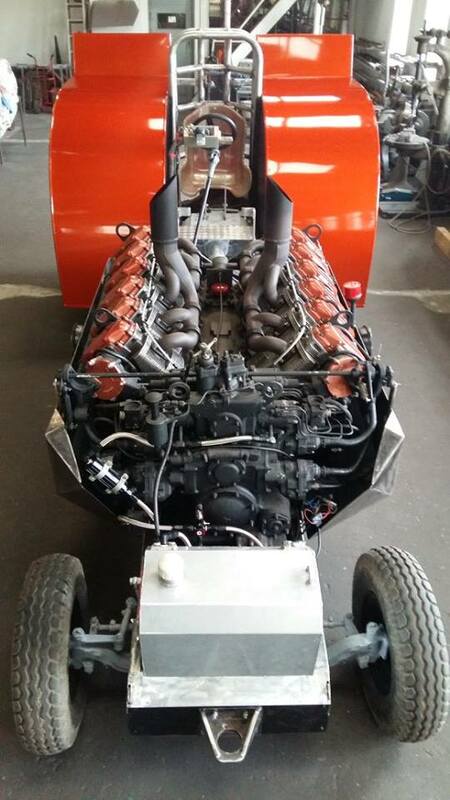 The Silberfuchs Limited Mod is powered by a naturally aspirated Continental V12 tank engine on petrol fuel. Almost all the parts are original on the power plant. 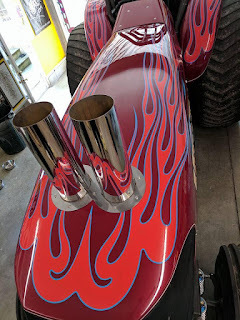 Only the exhaust manifold and the fuel tank are homemade. 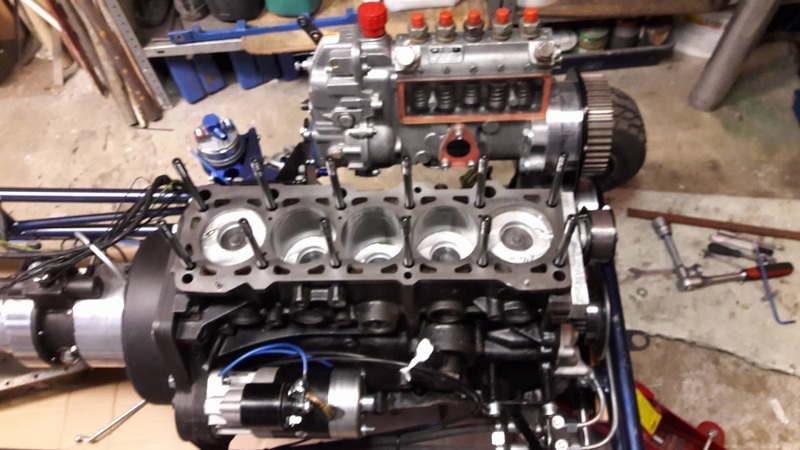 The engine was completely overhauled during the building time. All in all, the Team invested around 20000€ in their complete Limited Modified Tractor and also have great fun with their new ride now. The first passes in 2017 were pretty well and the new young Team was very satisfied. 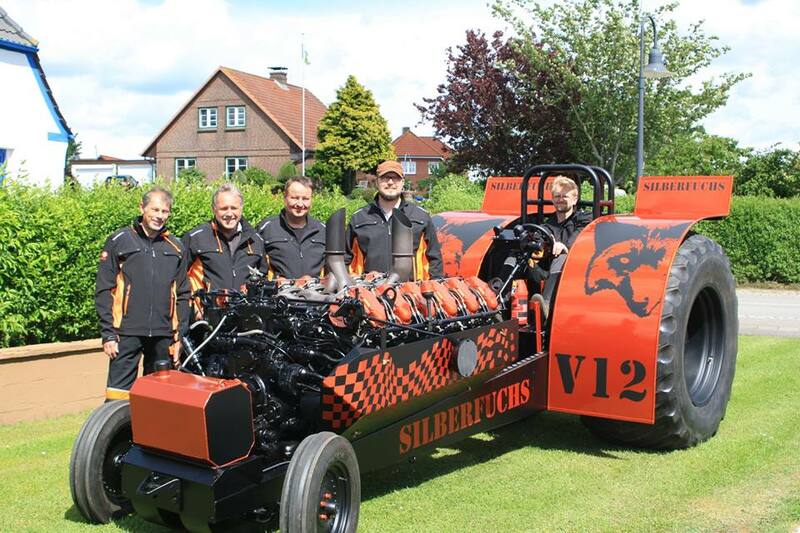 The Silberfuchs Pulling Team will compete in the German Championship next season. Zwolle 2018 competitors are known ! 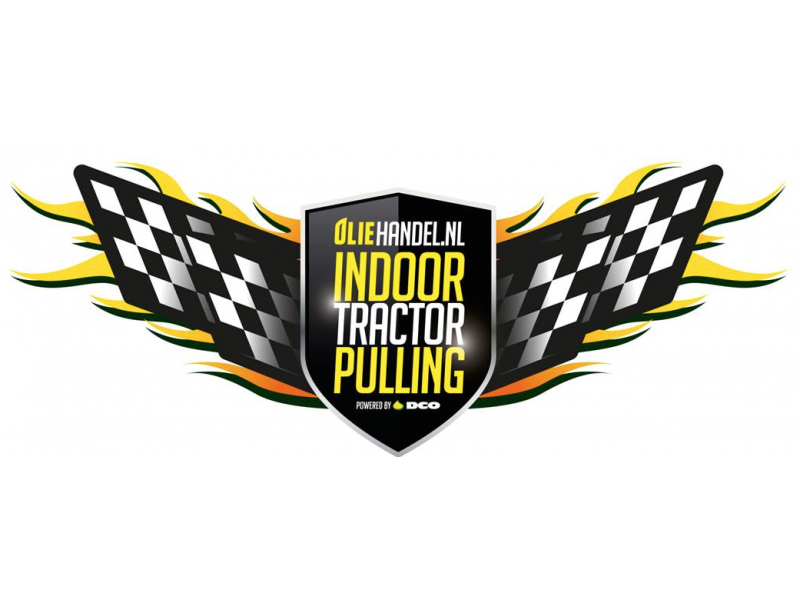 The organization of the Indoor Pull in Zwolle, the Netherlands have released the provisional competitors list for 2018. The Danish 3.5t / 7700lbs. 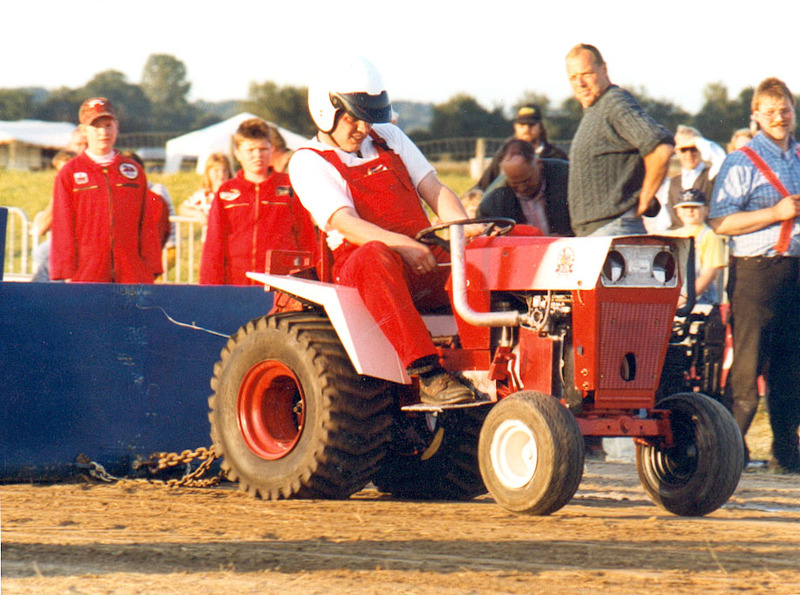 Modified Tractor called ,,Black Russian" was sold without the methanol fired V12 Transmash engine to Norway. In the package were also included the fenders, the rear wheels, the rear axle, the gearbox and the driveline. After the sell of the Tractor, the Black Russian Pulling Team are currently working on a new turbocharged V12 Transmash powered Tractor for the 2.5t / 5500lbs. Light Modified division. Further details about the new Light Mod project of the Danish Team will follow, check here at pullingworld.com ! Patrick Hansen, 24 years old from Skjern in Denmark. 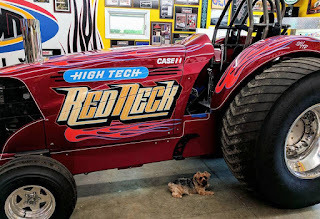 Patrick is the son of the former Mini Modified driver Torben Hansen and driver of the new twin Rover Meteor V12 powered Light Mod Tractor called ,,Gators´´. 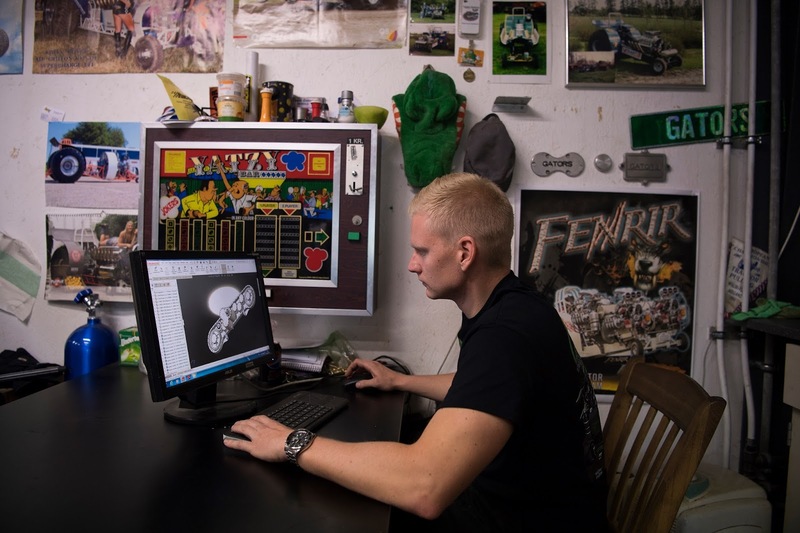 He´s also developing and building Pulling parts for other Teams in Denmark. Patrick Hansen: I live in Skjern, Denmark. I am an engineer in Automatic control. Right now I am taking the next step and studying to become a Bachelor of Technology Management and Marine Engineering, I only have one year left. Patrick Hansen: Some things I do other than Tractor Pulling hmm.... I am going to the gym a couple of times every week, you need to do it when you are driving with two 27 liters V12 engines in the Light Modified class ;). I'm also skiing a couple of times every year with some friends. 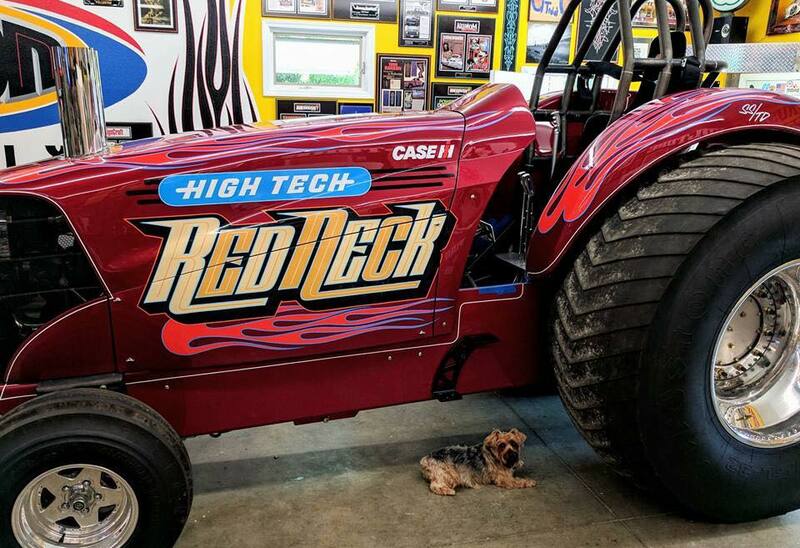 Patrick Hansen: First of all I like the friendship we have in Tractor Pulling, then I like to set Tractors up for the different tracks, some people think it's easy, but you can not run with the same setup on every track. I love to hear about the different way we all think in Tractor Pulling and all the different engines we are running. I learn or hear new things and ideas every time we are attending Tractor Pulling events. I love to sit and design new ideas in solidworks with the Team and try them on the engine or the chassis. Besides that I like to spend time in the workshop with my Gators friends. 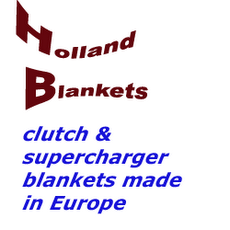 I could not do it without them, they all fight to get back on the track after or big cash in Made, Holland. Patrick Hansen: I can not remember. 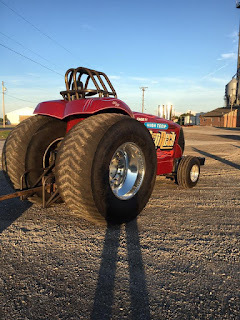 My dad drove Tractor Pulling that time in the Mini Rod class, so I was in a stroller for the first event. Patrick Hansen: There are a lot of good events. Bowling Green (USA), Tomah (USA), Made (NL), Brande (DK), They are some good events with many spectators. 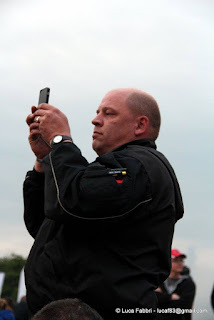 But the spectators in Bernay (F) are special and always good for some noise, I like when you can hear the spectators loves what we are spending time on. Patrick Hansen: The first time was in Hassmoor (D) in mid 90´s, on the V8 Gators or maybe I was to young that time ;). I am proud to be the new driver for the Light Modified Tractor Gators in 2017, I have looked forward to that day in many years. Patrick Hansen: Entire 2015, where I was in the States with Scott Tedder. 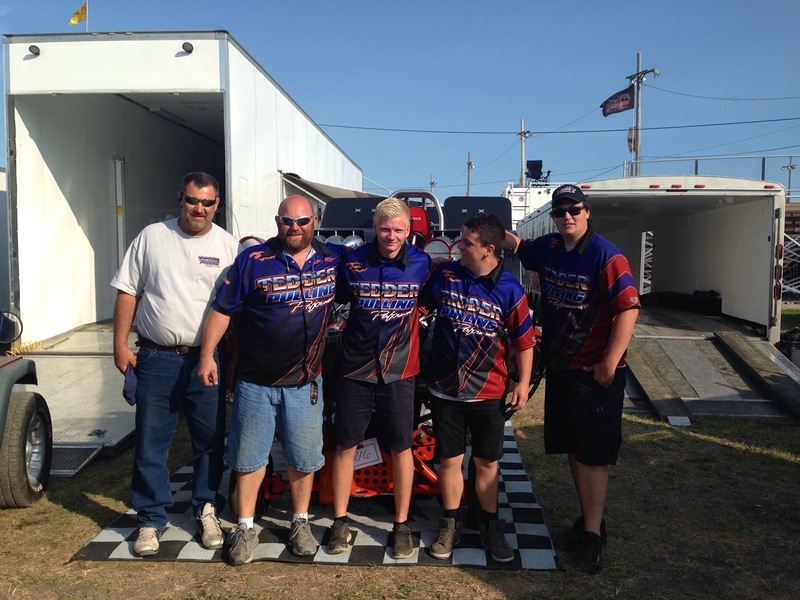 That year we won the Bowling Green (USA) and the NTPA Grand National title in the Modified division. After I came home to Denmark, I joined the Fenrir Team again where we won the Danish and European Championships the same year. 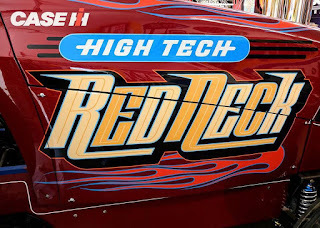 Patrick Hansen: All classes where you can see there is a close and fair match, it does not matter if it is a Modified, Pro, Super or Farm Stock. Patrick Hansen: We must make sure that there always will be different engine setups and not just the same type of engines. 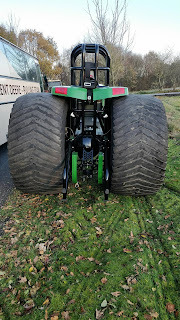 Personally, i would like a weight system where you get more weight on your Tractor if you are out of top 3, for example Nr.4= 20kg, Nr.5= 40kg, Nr.6= 60 kg. Patrick Hansen: I hope we can get the parts to stay inside our engine. It would also be nice get some trophies. Patrick Hansen: That’s easy, the most important moment was in 2012 where we started the Gators Pulling Team again. Patrick Hansen: We have a lot of work for some our customers, that’s always important for us. 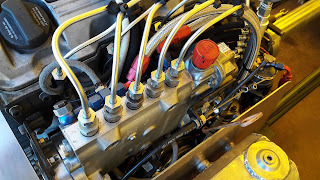 But the two new engines we are building for our Tractor this winter is my favorite, always nice to design new things. Patrick Hansen: The building of the new Gators was not possible without all the people that is comes and helps in the workshop. And thanks to all the people who has followed us this year. it has not been the best season for us, but we got a lot of data to work with in the winter break. Next Sensation sold to Italy !